Anxiety has become inescapable, and it’s not just because of the government. Anxiety disorders including phobias, panic disorder, post-traumatic stress disorder, obsessive-compulsive disorder and generalized anxiety disorder are the most common mental illnesses in the country, affecting 18 percent of the adult population. While most symptoms of anxiety—anger issues, appetite loss, fatigue—are easier to identify, many effects seem unrelated. Even phenomena as weird as ear pain and vocal changes can be culprits of anxiety. If something weird is going on with your body, the answer might be in your mind. Anxious people are distracted, or, rather, so preoccupied with fear of an impending disaster that we’re less likely to concentrate and absorb less information. A 2016 study found that mice exposed to repeated stress experienced swelling in the hippocampus, the part of the brain that transfers information from short-term memory to long-term memory. Ironically, worrying about anxiety-based memory loss will exacerbate forgetfulness. Stress and tension cause the throat to constrict. Because your throat and ears are connected, pain in the former often reverberates in the latter. If you experience persistent or sporadic ear pain, monitor possible influences. Ear pain from riding in an airplane, for example, has a different origin than earaches that flare up in stressful situations. Although the relationship between the brain and digestive system is widely known, nausea, diarrhea and vomiting are more commonly associated with anxiety. However, there are lots of ways your digestive flow can be disturbed, and anxiety is prevalent in chronically constipated patients. Alternatively, many anti-anxiety medications double as muscle relaxants, and your intestines, which are a huge tangle of muscles, can take longer to do their job and impede your digestive flow. As mentioned before, anxiety is distracting, and unfortunately, paying attention is vital when it comes to coordination. Whether you’re fixating on a problem (or trying to focus on thinking about anything else stuck amid environmental or social factors that stress you out, posture and steadiness aren’t on the same branch of your mind’s hierarchy. Or maybe your sweaty palms (another symptom of anxiety) are making it harder to retain your grip on something heavy. Anxious folk are also prone to overcorrect (especially if they’re anxious about their clumsiness or inability to balance), and as a result their balance backfires. Voice is one of the greatest indicators of anxiety and stress. When you’re nervous, you may stutter or speak with a shaky voice. Anxiety can also cause people to jumble their words and cause difficulties with verbalization, especially in a triggering situation, and can even contribute to a dry throat or mouth and loss of voice. People with anxiety are more likely to suffer from sleep disorders, which contribute to adult nightmares. Combined with exhaustion from sleep deprivation, the themes present in anxiety dreams—loss, magically returning to high school just in time for a calculus test, physical manifestations of your fears and situations you can’t control—are equally terrifying as childhood nightmares. 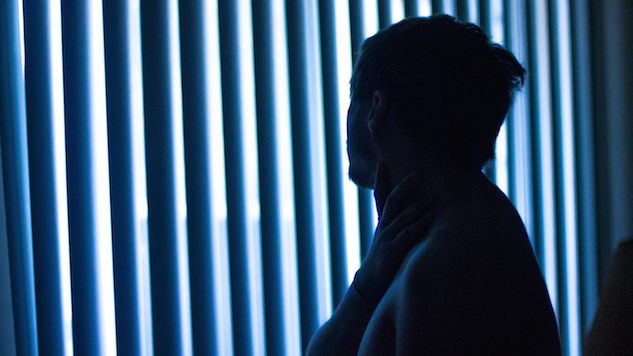 A 2004 study even found a link between nightmares and suicide. While it’s commonly associated with side effects of antidepressants, emotional blunting, or disengagement, can also stem from unmedicated or poorly managed anxiety and emotional trauma. Emotional numbness can also result from built up anxiety—eventually, unsolved pressure can overwhelm people to the extent of disengagement and fatigue.